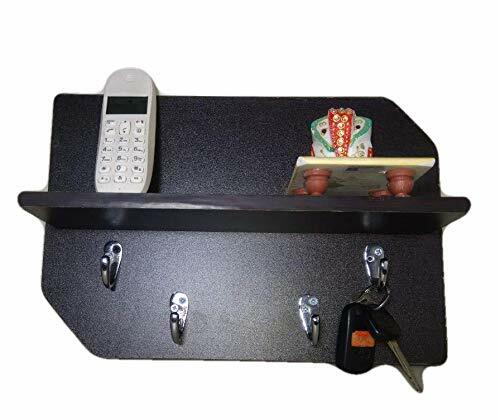 Sehar crafts A compact wall shelf with key holder ideal to be placed in the entry way or any wall to hang your keys. 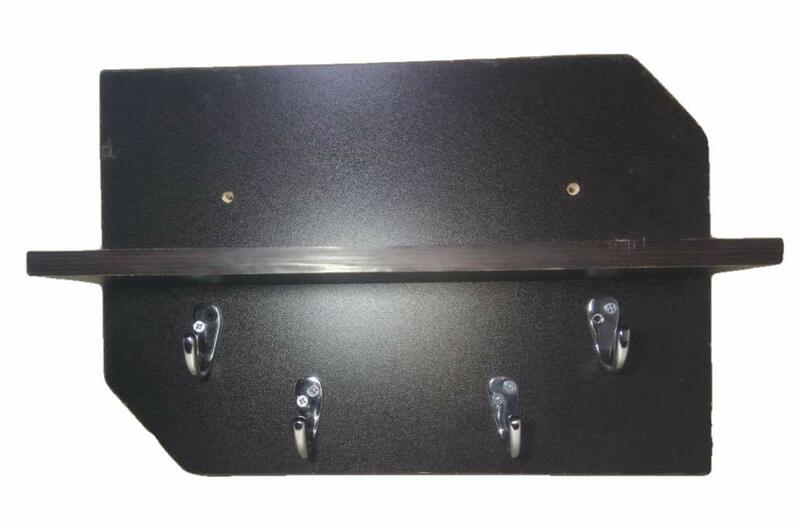 The extra shelf is useful to display any small object. 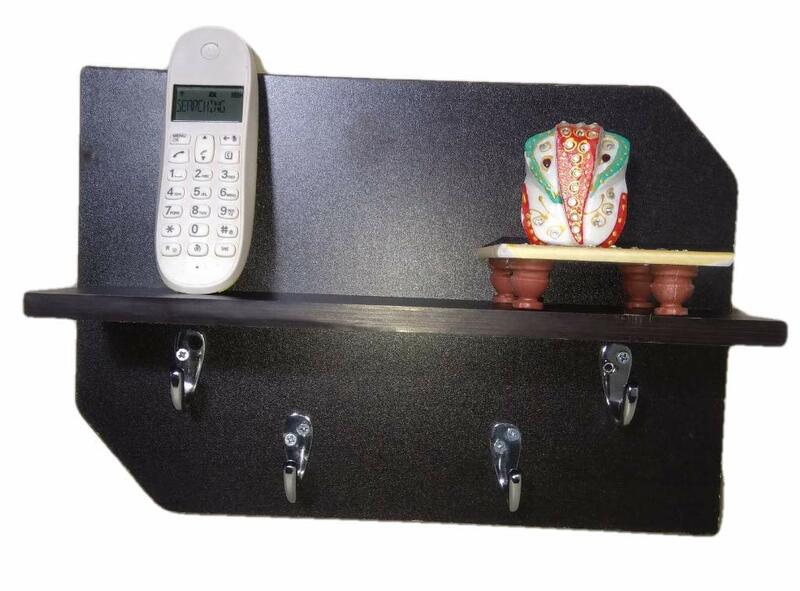 This wall shelf with key holder will add convenience along with elegance. Made in engineered wood in wenge finish. Clean using a damp cloth and wipe dry. Avoid dragging of sharp items on the surface.